General Manager at The Buckinghamshire Arms, Blickling. A passionate and enthusiastic Chef Andy has worked his way through the ranks to become General Manager of a growing independent pub group in Norfolk at the young age of 29. He has worked in the group since starting as a kitchen porter when he was 16 at The Wildebeest. 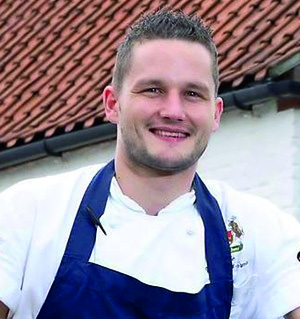 After winning the 2005 EDP Young Chef of the Year Award he went on to hold the position of Sous Chef at The Wildebeest for two years before becoming Head Chef of The Hunny Bell in North Norfolk in August 2009. 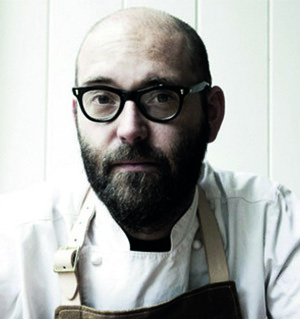 In 2011 Andy’s credentials as an award-winning creative chef were strengthened winning the Great British Pub Food Awards Dessert Category with a sumptuous assiette of chocolate. 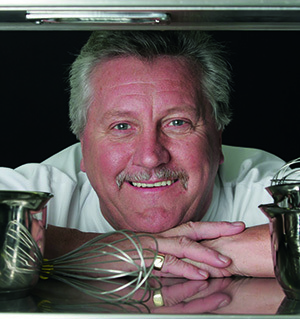 View recipes from Andy Snowling here. Winner of the Great British Menu 2015. Richard is a Norfolk boy through and through, coming from humble beginnings to running a Michelin starred kitchen to now owning and running his own restaurant ‘Benedicts’ with his wife Katja in the heart of Norwich. He says that ‘sometimes I pinch myself as I can’t believe what I’ve achieved’. Richard describes his food as ‘contemporary English with classic values’ his passion is using the best of British produce. Since opening, Benedicts has gone from strength to strength with a fast growing, dedicated & fantastic team leading to multiple publications, reviews by national newspapers and magazines, being named in the Square Meal Top 100 Restaurants in the UK and recently having won the prestigious title of Best Restaurant 2016 in Norfolk at the EDP Norfolk Food and Drink Awards. View recipes from Richard Bainbridge here. Multi – Michelin Star Award Winning Chef. He began his exciting career at the tender age of fourteen as a baker in his home town of Arras, Northern France before becoming the private Head Chef to Elie de Rothschild at the mere age of 19. Jean-Christophe’s life changed completely when he arrived in Great Britain in 1983 having spent a year in charge of Keith Floyd’s pub, ‘The Maltsters’ as Head Chef whilst Keith was filming his famous TV shows. In 1996 Jean-Christophe opened the Four Seasons restaurants in London and so began the foundations for his internationally based mini empire. In addition to his interests in the UK, Jean-Christophe launched Novelli at the Cellars, Cape Town’s leading five-star Relais et Chateaux Hotel, Moulin de Jean in Normandy France and was Chef-Consultant on Sea France ferries. Jean-Christophe’s passion for passing on his wealth of culinary knowledge to others, led him to open his own cookery school, The Novelli Academy. 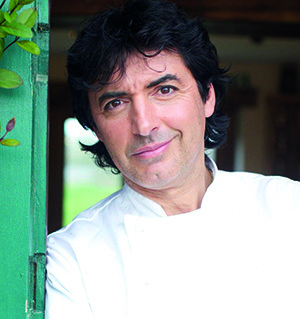 View recipes from JC Novelli here. One of Britain’s most well-known Chefs. Having trained at Simpson’s in the Strand, The Savoy, The Beau Rivage in Lausanne and Claridge’s. Turner is the President of the Royal Academy of Culinary Arts which he has combined with a successful career as a TV personality. Having been on the first ever Ready Steady Cook Show Turner served 14 and a half years on the very successful programme as well as many appearances on This Morning, Saturday Kitchen and more recently his own show ‘A Taste of Britain on the BBC. In 2015 Turner recorded a new show also with the BBC, ‘My Life on a Plate.’ In June 2002 in the Queen’s birthday honours list Turner was awarded a CBE for his services to tourism and training in the catering industry. View recipes from Brian Turner here.